On August 27, 2013, a hunter on a 75,000-acre ranch north of Las Vegas, New Mexico, stumbled upon a bizarre sight: over 100 dead elk lay on the ground. The smell of death lingered in the air as the man approached, and the mystery only deepened. There was no obvious sign oftrauma such as bullet wounds or claw marks; they all simply dropped dead, apparently en masse and on the spot. But so many animals dying off at the same time is very mysterious, and the fact that the elk all seemed to have died in under twenty-four hours (and were at the same stages of decomposition) only added to the puzzle. Wildlife officials soon ruled out most of these possibilities: The elk weren’t shot (nor taken from the area), so it was not poachers. Tests came back negative for anthrax, a bacterium that exists naturally in the Southwest and can kill large animals. Though lightning strikes are not uncommon (in fact New Mexico has an unusually high number of lightning strikes compared to other states), a strike killing over 100 animals at one time would be an incredibly rare event. Another possibility was some sort of contamination of the well or water tanks, but initial tests were fruitless. According to an article in the Santa Fe New Mexican, “Game and Fish investigated the case, and department staff, as well as pathologists from veterinary diagnostic labs where tissue samples were tested, ruled out a broad range of other possible causes of the elk deaths: anthrax, epizootic hemorrhagic disease, botulism, lightning strike, poaching, pesticides and malicious poisoning. ‘We couldn’t find anything [toxic] in their stomachs and no toxic plants on the landscape,’” said Kerry Mower, a wildlife disease specialist with Game and Fish (Radford 2013). As news spread, some conspiracy-minded folk soon speculated about links to animal mutilations, Satanists, UFOs, or even the dreaded Hispanic vampire el chupacabra (a mystery I investigated and solved in my 2011 book Tracking the Chupacabra: The Vampire Beast in Fact, Fiction, and Folklore). The Department of Game and Fish has concluded that a toxic algae bloom caused the deaths of more than 100 elk discovered Aug. 27 in northeastern New Mexico. Department biologists collected tissue samples from the dead elk and water samples from privately-owned land north of Las Vegas, N.M. The Department sent the samples to laboratories across the country. A lab found Anabaena, a form of naturally occurring blue-green algae that produces the deadly neurotoxin, anatoxin-a, in a water sample. This potent neurotoxin can cause illness and death within four to 12 hours if ingested. “Based on circumstantial evidence,” said Kerry Mower, the Department’s wildlife disease specialist, “the most logical explanation for the elk deaths is that on their way back to the forest after feeding in the grassland, the elk drank water from a trough containing toxins created by blue-green algae or cyanobacteria.” Department biologists found the dead elk in a one-half mile by three-fourths mile area, and suspect that they died within the same 24-hour period. The elk showed signs of having struggled on the ground, symptoms consistent with poisoning from a neurotoxin. I dug deeper and did some of my own research to corroborate the story. I began with Casarette and Doull’s Toxicology: The Basic Science of Poisons, a classic toxicology reference, which notes that “In warm weather, blooms of blue-green algae are not uncommon in farm ponds in temperate regions, particularly ponds enriched with fertilizer. Under these conditions, one species of alga, Anabaena flos-aquae, produces a neurotoxin, anatoxin-a, which depolarizes and blocks acetylcholine receptors, causing death in animals that drink the pond water. The lethal effects develop rapidly, with death in minutes to hours from respiratory arrest” (Klaassen 2001). In other words, the elk herd suffocated to death, unable to breathe though on dry land, and the fast-acting toxin explains the animals’ strange, sudden deaths. In this case the algae appeared not in ponds but in three fiberglass livestock watering tanks not far from where the elk died. The algae-produced neurotoxin is similar to curare, the famous toxin found in poison-tipped arrows used by South American Indian tribes. Though anatoxin-a can be deadly to other animals including dogs and cattle, reports of human deaths are rare. New Mexico ranchers were advised to sanitize their livestock tanks to prevent further wildlife deaths. Several problems exist with Mr. Radford’s article. . . . Anatoxin-A, the “real killer” referred to, was not found in any elk tissues or water samples. No Anabaena flos aquae was identified in any elk tissues. . . . The Anabaena flos aquae identified was found in a sample of water taken from a developed water tank, not a pond . . . and reports of human deaths from anatoxin-A are nonexistent, not rare. Dear Kirby Carmichael, I received your e-mail with new information about the NM elk deaths, and I’d be happy to learn more. Below are your comments and my responses. 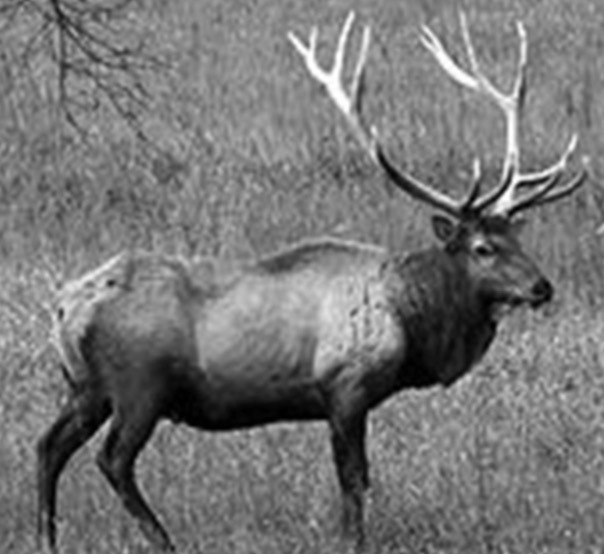 1) “Anatoxin-A, the ‘real killer’ referred to, was not found in any elk tissues or water samples. No Anabaena flos aquae was identified in any elk tissues. No tell-tale algae was found around the mouths of any elk.” Please provide references for this; I’d be happy to look at them. 2) “The Anabaena flos aquae identified was found in a sample of water taken from a developed water tank, not a pond.” That is correct, and what the story says. It states explicitly that the source was not a pond but instead a water tank. Since you agree with me on this point, it’s not clear why this is a “problem” with my article. 3) “Reports of human deaths from anatoxin-A are nonexistent, not rare.” Please provide references for this; I’d be happy to look at them. I’m surprised you can definitively state that no human has ever died from anatoxin-A. In fact according to a 2003 newspaper report, a Dane County coroner determined that Wisconsin teenager Dane Rogers died from exposure to anatoxin-A (http://www.whoi.edu/­science/B/redtide/notedevents/bluegreen/bluegreen_9-5-03.html). This case is also cited in a NOAA report: http://www.glerl.noaa.gov/res/Centers/­HumanHealth/docs/michigan_workshop/xagoraraki_hab_workshop.pdf. I replied to him on November 11, and again on November 14, and again on November 21, and again on December 2. After politely and repeatedly asking for information and evidence to back up his claims, I never heard back. These claims of a cover-up were puzzling to me. Who would want to mercilessly murder a hundred or so innocent elk? What organization would be so powerful as to kill a herd of elk, cover it up, and pay hush money to keep anyone from finding out about it? The Albuquerque chapter of the Elk Eradication Corps? Unnamed evildoers? The Illuminati? And as long as we’re looking around for players in this mystery, where the hell were the Benevolent Protective Order of Elks? Shouldn’t they put down their bottles long enough to dispatch a crack team of investigators to do some of the elk protecting that they talk about? Speaking of the Elks, we’re back in the clandestine world of secret handshakes, arcane rituals that may or may not involve goat blood and Trader Joe’s horseradish mayonnaise. The classic conspiracy organization is the Illuminati, a group founded in 1776 by Adam Weishaupt, a law professor in Bavaria. Weishaupt claimed to have been given mysterious, arcane knowledge by a “higher source,” which presumably could have been anything from God to extraterrestrials to voices in his head. The Illuminati organization resembled a pyramid scheme cult, with new initiates required to pledge total obedience to Weishaupt, and promises of greater revealed wisdom the more invested a member became. The Illuminati was outlawed in Bavaria in 1783, and by 1800 the group was all but defunct in Germany, but its ideas had spread to America, Europe, and elsewhere. Though the Illuminati only existed for less than two decades over two centuries ago, many conspiracy theorists believe that it remains active and powerful, and it is often associated with New World Order and anti-Jewish conspiracies. But why would the Illuminati want to kill a bunch of elk in the middle of nowhere? They wouldn’t—unless of course they are in cahoots with one of the most powerful industries in the world: the oil and gas industry. What are they covering up? Get with the program, Skippy: More like what aren’t they covering up? These bigwigs have their fat little fingers in everybody’s pie, and they have some stake in everything from waste disposal to Big Pharma to Angie’s List (here’s a hint for you: “Angie” is probably really “Angelo,” a Puerto Rican enforcer with fingers like éclairs who breaks legs for a living). According to people who hear things (but don’t have the stones that I do to keep my readers in the know), the elk die-off was an accident. Nobody put a hit on the elk; it wasn’t a message from Angelo to some hunter. But it wasn’t innocent, either. What happened was that the elk died in a cloud of poisonous gasses or water that could have killed anyone in the area. Where did this toxic substance come from? Fracking. Yes, that much-maligned target of environmentalists everywhere, the hydraulic fracturing method by which underground gas or oil is extracted by injecting water or fracturing fluids (some of which may be toxic) into the ground. 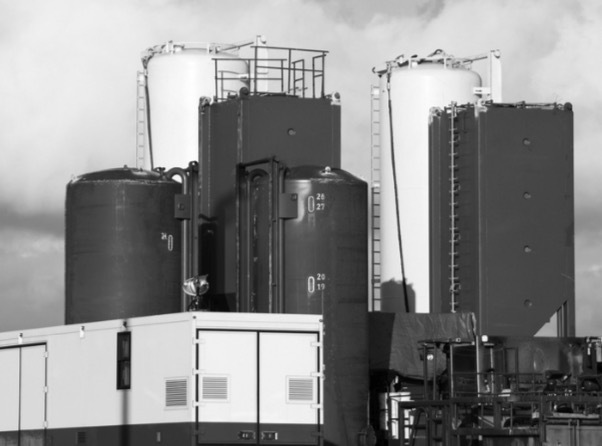 Fracking is widely performed across the country, and the safety of this process has been challenged. 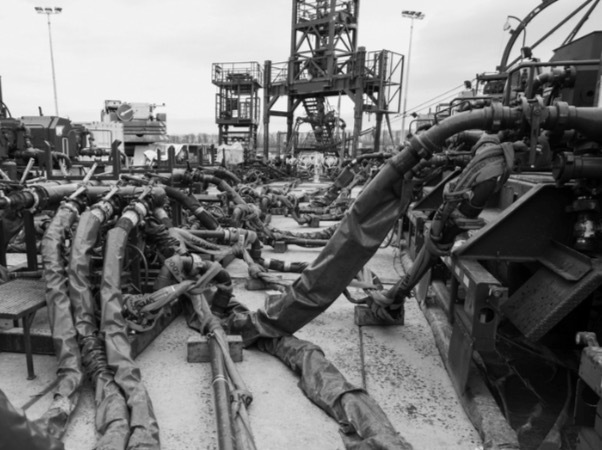 An examination of the arguments for and against fracking is beyond the scope of this investigation. The point is that it was blamed for killing this hundred-strong elk herd. Nobody was supposed to get hurt. No animals were supposed to die. It was all a minor mistake, an aberrant slip-up that reveals the dangers of this technology—if you just look at it the right way, through the eyes of a conspiracy theorist. However, the only “fracking accident” mentioned in New Mexico is this: “One ranching family in San Juan County, New Mexico noted numerous spills and leaks at well pads on the public land where their cattle graze. After losing some of their herd they tested the other sick cattle from the area. Results from the Texas Veterinary Medical Diagnostic Laboratory in 2005 found petroleum in the hair of 54 out of 56 animals tested” (Earthjustice 2013). This is hardly a smoking gun indictment of fracking as a cause of death for an elk herd. In fact it’s not clear what it’s supposed to mean at all. It mentions some sick cattle that were apparently found in 2005 by one anonymous ranching family in San Juan County (which is near the Four Corners area), while the 2013 elk die-off happened near Las Vegas, hundreds of miles to the southeast in San Miguel County—and happened eight years later. What’s the connection? Who knows? It’s the sort of non-sequitur half-baked, quasi-anonymous dubious information that fuels rumors and conspiracy theories. I never heard back. Either he realized that the Great Elk Conspiracy was unlikely, or maybe he figured I was part of the cover-up and he couldn’t trust me to help get the information. In any event, two different people endorsing conspiracy theories about the elk deaths contacted me, and in both cases I responded with facts, logic, and an open mind—not to mention an offer to review any evidence they had and even help uncover more evidence that supported their claims. To be clear, I have no position on fracking one way or the other. I’ve heard lots of bad things about it, but I’ve also seen some bogus arguments against it. I’m not a paid shill for Big Oil and have no vested interest in the issue one way or the other. My only question is simply this: Is there good evidence that the massive elk die-off of 2013 was in any way caused by or related to fracking? So if there are about 57,000 oil and gas wells using hydraulic fracturing in New Mexico—and the fracking has gone on for decades and is as dangerous as claimed—then we should expect to see massive animal die-offs on a regular basis. The 2013 elk deaths should be just the tip of a huge iceberg, only one of dozens or even hundreds of massive, mysterious wildlife deaths that span decades across the state. Instead, the 100 elk killed was such a rarity that it made national news, instead of being only the latest in a series. The New Mexico Department of Game and Fish found a known, natural toxin in water the elk drank from. Sometimes it’s just as simple as that. I’ve researched and written extensively about the psychology of conspiracy theories, and one core element is that simple explanations are often rejected in favor of complex scenarios. It can’t be as simple as elk drinking bad water: they must have been poisoned by toxic fracking chemicals that somehow only killed the elk (and no other nearby animals) and apparently left no trace. And of course it’s part of a greater cover-up to hide a threat to not only wildlife but New Mexicans as well. The burden of proof is on the person making the claim. It’s not up to me, or the Department of Game and Fish, or anyone else to prove that the elk did not die from some fracking-related cause. It’s up to those who claim that the deaths are related to the oil industry to provide evidence for their claims. The truth may be out there, and if there is hard evidence linking a fracking conspiracy to the elk deaths, I’ll be happy to see it. So far they have produced nothing but rumor and speculation. I’m not saying that some conspiracy theories might not be true, and I’m not saying that fracking might not be dangerous to wildlife. I am saying that there is no evidence that the 100 New Mexican elk died of anything but the natural-but-toxic algae in their drinking water, and there’s no evidence that fracking had anything to do with it—much less that the deaths were covered up as part of a conspiracy. Of course, they’ll tell you, that’s what they want you to think. . . .
Earthjustice. 2013. New Mexico and fracking. Earthjustice.org. Online at http://earthjustice.org/features/campaigns/new-mexico-and-fracking. Klaassen, Curtis. 2001. Casarette and Doull’s Toxicology: The Basic Science of Poisons. New York: McGraw-Hill. New Mexico Department of Game and Fish. 2013. Toxic algae cause of 100 elk deaths in northeastern NM. New Mexico Wildlife News press release (October 22). Online at http://www.wildlife.state.nm.us/publications/­press_releases/documents/2013/102213elkfinding.html.